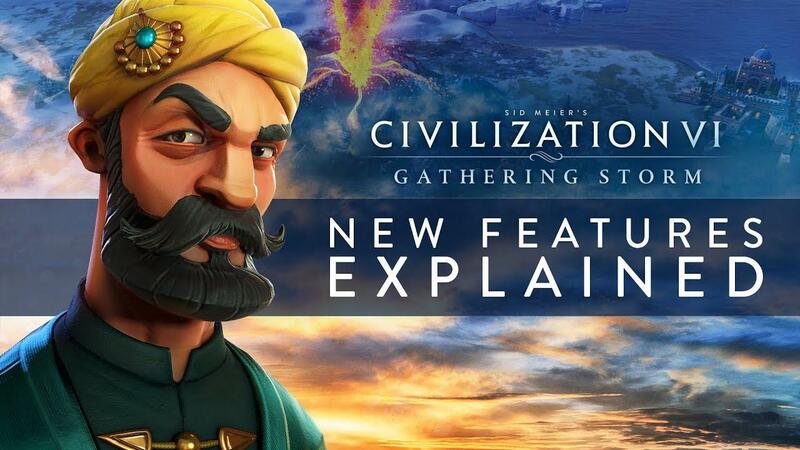 Looks like we're in for a treat with the big new expansion, Civilization VI: Gathering Storm, as it's releasing tomorrow. This is excellent, since we've ended up waiting far too long for previous updates. Good to see Aspyr on top form for this, showing how it should be done so kudos to their team for this nice surprise. With that in mind, I've reached out to Aspyr today to see if I can get a key to cover it properly. It will be a bit delayed of course, since it wasn't clear when Linux would get it. The expansion sounds massive! So it's going to be quite exciting. Quote Hat tip to Vildravn. Update: Aspyr has provided me with a key, so a couple of days after release I shall have some thoughts up. Can't wait, I probably will not sleep this weekend. What about cross platform multiplayer? Very nice, I'm ready for it. sarlej What about cross platform multiplayer? Aspyr mentioned it's in sync right up there in the article. Expansion looks great and all, but £35 for DLC??? The base game is £50 for those of us who bought it day-1 and the other expansion (which I still haven't gotten round to buying because of the price) is £25. That's fu**ing nuts, there's no other way to describe that. I remember the gold old days when you paid £30 for a game and £15 for each expansion and all the little pieces of additional £5 horse armour didn't exist. I like Civ a lot and VI is pretty decent, but honestly the value for money is abhorrent. For those buying day-1 and paying £110 to have a full game, you're better off waiting a couple of years for a £20 "complete edition" and buy like 5 really decent games to play during that time. There's just no way of justifying that pricetag. Segata Sanshiro Expansion looks great and all, but £35 for DLC??? The base game is £50 for those of us who bought it day-1 and the other expansion (which I still haven't gotten round to buying because of the price) is £25. That's fu**ing nuts, there's no other way to describe that. It has way more to do with people sitting around rooms calculating pricing models and market demographics than anything to do with game development or the quality of the product. If it were up to a lot of developers, we would get none of those three things and we would still be paying these prices, I mean look at EA.